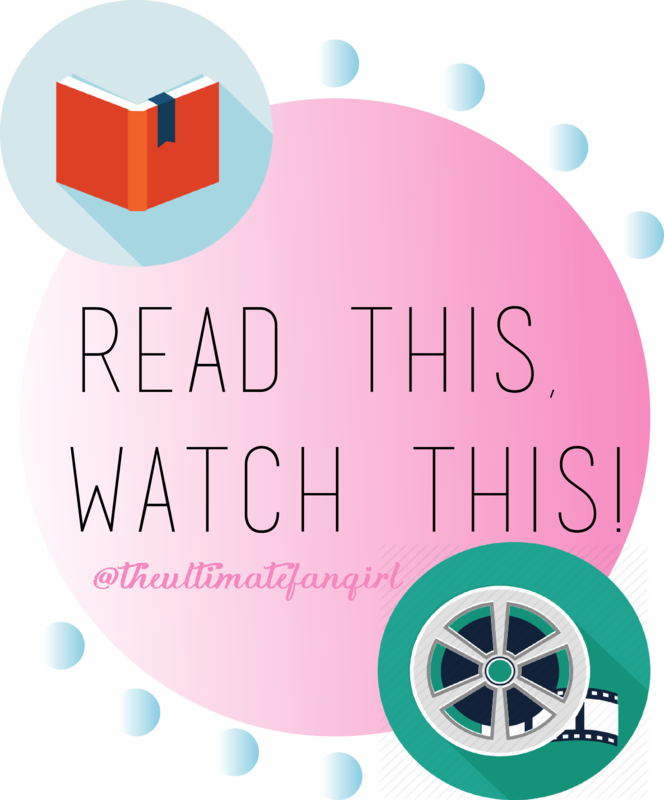 Book Tag: Read This, Watch This! Hahaha. Look at me. I’m catching up on tags. What an amazing feat. I picked out the best of the best just for you guys. I channeled my inner nerd on this one so prepare yourself. I would like to thank Bea @ When Curiosity Killed The Cat for tagging me. I have been dying to do this tag but when I saw it I just… gosh. Which fandom should I pick? I don’t want the other fandoms to feel left out. This is so hard. Only five? I got so many to choose from. So I narrowed it down and I ended up with these guys. Anyways, onto to the tag! Tag your favourite book bloggers/booktuber. You know those unique stories where you just cannot have enough feelings? Here’s the premise: both of them have ghosts that returned to fix up a messed up life, or in some cases, lives. Mitch Albom’s books truly leaves the reader thankful and more optimistic in life. But Anohana… oh boy. If you want to cry a bucket full of tears (and that’s just the first episode), then you may want to watch it. I personally cried every episode. And based on the some of the people I know who have watched this, some of them don’t really watch anime. Amazing stories, and both stories just breaks your heart in a good way. Mentioning this movie on my blog for the enth time, believe me when I say that at first I didn’t see the resemblance. Then it hit me how Ezra Faulkner and Tom Hansen are the same. Both of them loved a girl that has their own way of thought and those girls made them realize what aspect of their life need to change. Both exquisitely beautiful and stunning works of art. But then again, what rock do you live in if you haven’t watched (500) Days of Summer? Kidding. Rocks are cool. You can easily love Amelie. Cath and her just know how to spread the love around. It will give you all the feels of relating with an introvert and the film was just absolutely beautiful and funny. It builds its own tropes and it definitely brings a smile to everyone who will watch it. Bonus points since it’s in French. For Pete’s sake, just watch Friends. It’s the best decision you’ll ever make and you won’t regret. You deserve the fun and life lessons Friends has imparted on it’s many viewers, just like the wisdom Mindy Kaling, Tina Fey and Amy Poehler has given us for the past… years. JUST WATCH IT. Hooray. I’m done. I’m sorry if I left out any fandoms but dayum, this tag is so awesome. Thanks again Bea. Hope you enjoy answering this tag as much as I enjoyed it. With that said, I’m retreating to my cave of awesomeness. But I am still here, fangirling over some guys I saw on Youtube. What a fun tag! Thanks for tagging me! I love 500 Days of Summer! Thanks for the tag! I love (500) Days of Summer! I want to watch Amelie – your recommendation has put it up on the list of movies I need to watch!